Staff opinion surveys are the bane of many a school leader. Many tend to see them more as an imposition, rather than a chance to really understand how their school is operating. Staff may realise the survey is coming up, as members of the leadership team might suddenly start acting differently. Perhaps they smile at staff a little more, or provide a surprise morning tea or even worse; they walk staff step by step through the questionnaire explaining what each question is really asking and how it should be answered. But what if your school was a truly healthy organisation? What if leaders saw the survey as a chance to improve the organisation and better learning outcomes? 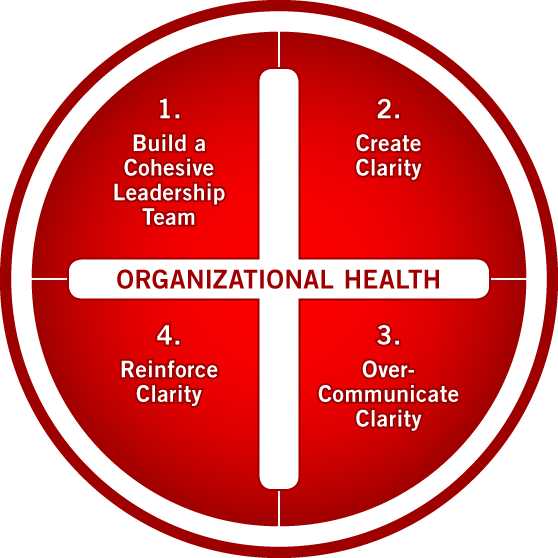 Patrick Lencioni’s work is all about organisation health. His book ‘The Advantage’ is a great read for school leaders looking to improve student learning outcomes by improving the organisational health or their school. This website has explored the power of Patrick Lencioni’s work on creating effective meetings already here, but ‘The Advantage’ covers more than just meetings. 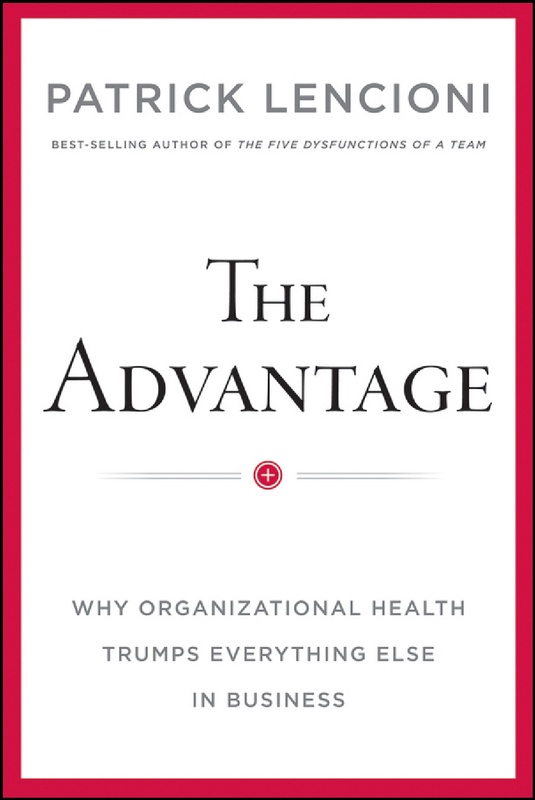 In many ways, ‘The Advantage’ brings together the disparate strands of Lencioni’s work in books such as ‘Death by Meeting’, ‘The 5 Dysfunctions of a team’ and ‘Silos, Politics and TurfWars’ into a one stop guide to building a healthy organisation. After outlining the arguments as to why organisational health matters, Lencioni lays out a powerful (yet common sense) approach to organisational health called the four disciplines model. Lencioni then takes us step by step through the four disciplines, drawing on examples and themes from his prior works as stated above. In Discipline 1: Build a Cohesive Leadership Team, Lencioni takes readers through the steps of building a strong leadership team first. Lencioni clearly displays the importance of getting the right team in place, and provides a framework to do this. He argues that while most organisations say this is important, their leaders don’t take enough action or provide enough rigour in ensuring this happens, effectively paying lip service to the most important step in building an effective organisation. Readers should note that this topic is covered in much more detail in Lencioni’s excellent book ‘The 5 Dysfunctions of a team’. In Discipline 2: Create Clarity, Lencioni shows organisations a process of how they can improve their alignment by asking 6 Critical Questions. Discipline 3: Overcommunicate Clarity shows how leaders and leadership teams can avoid common problems such as inconsistent messaging, post meeting confusion and rumour mongering, to become an organisation where staff can be empowered to make decisions within a clearly communicated and understood framework. The final discipline, Reinforce Clarity is all about ensuring that HR resources of the organisation, such as hiring, performance management, retention and recognition of staff work, is all aligned to the now clearly stated goals of the organisation. Supporting the 4 Disciplines is an added section discussing the centrality of great meetings to the health of any organisation – effectively a summary of his previous book ‘Death by Meeting’. Lencioni’s books are great for schools and school leaders because unlike many other business or leadership books, Lencioni’s work isn’t driven entirely by business. Much of Lencioni’s consulting work is with non-profit organisations including school and educational institutions, which means that school leaders don’t have to translate the language of business into the language of schooling. Not all of the examples used are from GE, Procter and Gamble or Apple (although there is still quite a few!). What perhaps sets Lencioni’s work apart from other business writers is that he operates from a position of care and humanity. His work helps organisations improve their health and as a by-product, their bottom lines. This is opposed to many other business writers who clearly write from a bottom line approach, aiming to help executives make their mark, their money and move on. You could say that in this way, Lencioni’s works are truly about leadership as opposed to management, and as such highly applicable to the school environment.